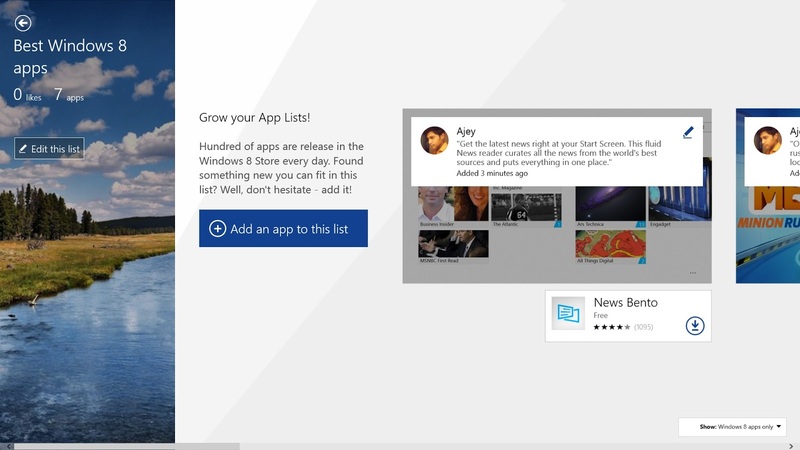 Recently,App Social was released to Windows Phone and it is now time for Windows 8 to get the app.You can use the apps feed to find new and popular apps which are used by millions of people. If you love to share then, App Social lets you create a list of your favorite apps and share it to your friends. Your shares also count for your points which means that you gain likes and followers which will help you to reach the top of the leaderboard. Exciting isn't it ! There's more you can do with this cool app, You can follow your favorite tech celebrities and your friends to get insights from them. This app has been built from the ground to be social, it makes discovering awesome apps easy and exciting. Sharing and finding new apps can't be easier. App Social is a worthy app to have. 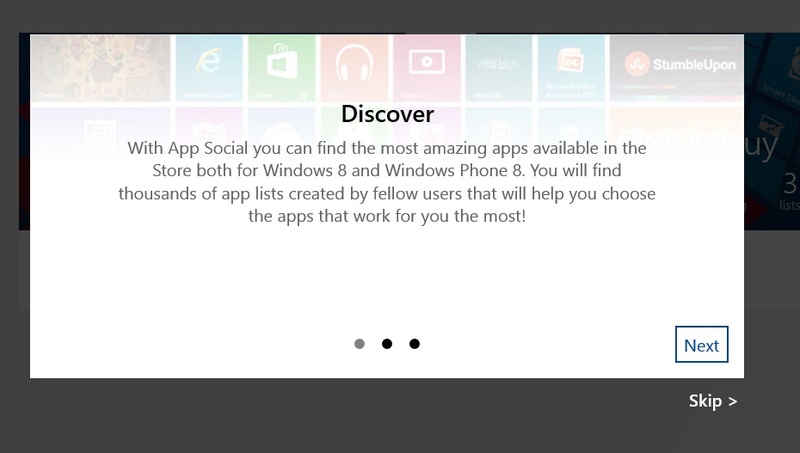 So download App Social for Windows 8 right away. One more thing, I have a created a list named " Best Windows 8 apps " and it's all about the best apps in the Windows 8 Store. Hit like to get to know the best apps. Search for the list using the search bar in the home page. !